As the UCPN (Maoist)’s newly chosen central committee members gear up for a meeting at Paris Danda on Friday, questions about ideologue-in-chief Baburam Bhattarai’s role within the party still loom large. The national convention in Biratnagar earlier in the month was a PR disaster for the Maoists as Bhattarai and his supporters walked out of meetings. In an interview with Rabindra Mishra on BBC Nepali on Wednesday, he said, “Historically, power and position have worked to suppress the truth” and his decision to stay out of the party’s central committee was "part of a larger revolt because every type of social change requires a struggle." The demand for a complete overhaul of the highly centralised power structure of the Maoist party has been raised by the rank and file ever since the end of the armed conflict. And if senior leaders want the UCPN (M) to remain relevant in an evolving socio-political environment, they must deal head on with this issue sooner rather than later. But Bhattarai’s calls for democratisation and modernisation are not as benevolent as he makes them out to be. If it is reins of the party that he is eyeing, the former vice-chairman would do well to remember that he was hardly a paragon of leadership and pluralism when he was given the opportunity during his tenure as prime minister. While the PhD-PM became an instant darling of the local media and the international community and managed to win the public’s heart with various populist gimmicks, the façade quickly fell apart. His association with criminals like Bal Krishna Dhungel and the indiscriminate plundering of the state’s treasury under his watch sullied his name and image to a large extent. Furthermore, the same man who is now calling for greater transparency and democracy within his own party, relinquished all forms of democratic process after May 2012 when the first Constituent Assembly was dissolved. For 10 months, Bhattarai clung to his prime ministerial seat, resisted public and political calls for resignation, and even allowed himself an extension after not being able to conduct polls by 22 November that year as he had promised. 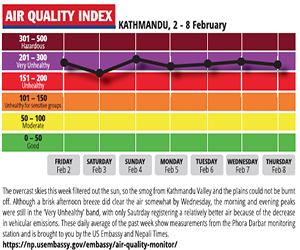 Bhattarai doesn’t have a strong record of promoting democratic practices within his party either. Even as cadre were demanding that top posts in the central committee be decided through elections, he never got behind them. And when the party decided to downsize the 266-member CC to a 99-member committee, Bhattarai wanted to add more of his men (and women). Similarly, his democratic credentials as a senior statesman are not exemplary. He has not been open to criticism or opposition and is known to regularly attack and accost his detractors through op-eds in newspapers and on social networking sites. 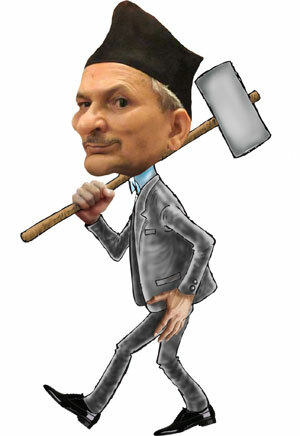 Bhattarai doesn’t exactly make the case for the most eligible candidate to replace the reigning potentate. While analysts contend that walking out of the national convention is definite proof that Bhattarai has no intention of returning to the party fold and the UCPN (M) is headed for another vertical split, the former prime minister, even with his new found hubris, must be aware of the current fate of Mohan Baidya and his men. Despite repeated threats of ‘returning to the jungle’ or starting off another armed struggle, the CPN-M has become a marginal voice in Nepal’s political landscape. For now, Bhattarai’s safest bet for claiming top post will be to tolerate Dahal’s antics, fulfill his duties as chairman of the CA’s Political Dialogue and Consensus Committee, and ensure that the new constitution is finished in time which will also allow him to rebuild trust and goodwill among his own cadre as well as the general public.